As the sun dies in the west, its last golden rays pierce the skeletal remnants of the old hanging tree, beneath which flickers Jack's ghostly visage. Look Over There! Is That Sasquash!? 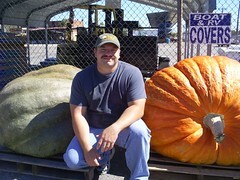 While I doubt these constitute THE largest examples, I still marvel at anyone who can grow a pumpkin or other squash/gourd bigger than a basketball. Somewhere in the back of my head, I see Linus waiting around for the Great Pumpkin. Yabba-Dabba-Do Make A Point To Visit Tulsa's "Cave House"
This home - worthy of any Flintstone's character - has been a Tulsa area landmark has been baffling residents since its inception, sometime in the 1920's. 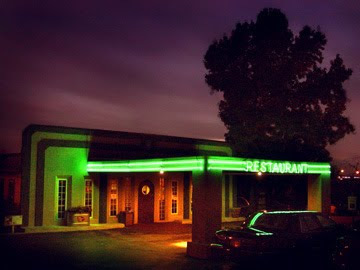 The home, which extends into the hillside behind, has been a restaurant and speakeasy over the years with connections to infamous outlaw "Pretty Boy" Floyd. And, of course, there is the ghost. It is now open on select days for private tours. To learn more about this bizarre bit of Oklahoma architecture, visit http://cavehousetulsa.com/index.html . You can find links to articles about the structure's history as well as how to schedule a visit to Tulsa's "Cave House". AUSTIN, Texas -- If spirits wander anywhere, why not among the towering pecan trees, sentinel cypress and cool clear waters of Aquarena Center? After all, archaeologists have determined that the site is among the longest continually inhabited places on the North American continent; and more than one Indian tribe includes the area in their creation myth. So it was a logical choice for Austin ghost hunter Amanda Foster, who founded Austin Paranormal last year. ''The place has so much history," Foster says of the complex at the river's head, an amusement park turned educational center under the stewardship of Texas State University. Foster and others from her group spent the better part of two nights on the property earlier this year and -- while some of what they were seeking escaped them -- they didn't come away empty-handed either. And the electronic voice phenomena (EVP) they were able to record actually seemed to represent the Indian presence. Inside a changing room for divers, Foster's group recorded "what sounded like distant tribal drumming" that was so unexpected they thought at first it was a bass line from a car's radio passing by outside the park. ''We had an investigator go outside the door," she recalled, but "there were no cars with loud stereos going by. One of our investigators asked 'Are you the ones performing the rituals' and got a 'yes ma'am' response. That was something interesting." Foster said the group heard other voices and distant conversations as well as experiencing the feeling of being watched. "We felt a strange presence near us, that type of thing," she said. In the old pecan grove where a number of archaeological excavations have been conducted, Foster said the group felt a "cold spot" often indicative of a spirit presence. Adjacent to the grove is an area where there used to be a mock Western village during the heyday of Aquarena Springs. "That particular part of the park has been fairly active for years," Foster said. "People have reported strange occurrences there for years," she added, which included former employees who "have seen apparitions, heard voices and seen shadow movements." Though the group didn't see anything there, they did record a voice. 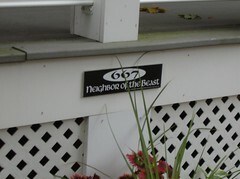 Another voice, Foster said, was recorded on the wetlands boardwalk which stretches out over part of Spring Lake. As the group walked, quietly, a voice said "get up," as if someone had been lying down just ahead of them. Also near the boardwalk, a member of the group photographed some glowing orbs. "We don't feel an orb is a spirit, we feel they're just energy in the air," Foster said. The group didn't register anything at the building that used to house the hotel, nor near the site of General Burleson's cabin; however, members did hear a "rustling in the bushes" that couldn't be confirmed as an animal near an old greenhouse. Even though the old frontier village has been torn down, Foster said she believes the spirits that used to wander there are still around, but have moved into adjacent buildings now used as offices. ''Any spirits that may have inhabited those old buildings have moved into the newer buildings inside the old conference center," Foster said. 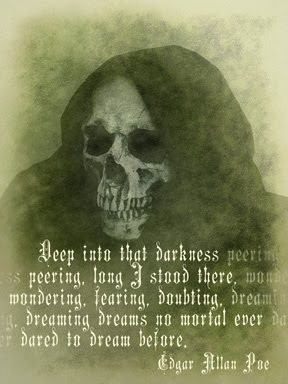 ''Who is really haunting Aquarena we don't know," she continued, but, she assumes that "spirits from the past like dwellings just like they had in the physical body. It makes you think they're more comfortable inside a building, that they miss their homes." Another experience Foster and her group had was while taking a glass-bottomed boat ride. She had heard there was a woman who performed as an Aquamaid in the old Submarine Theater who had died of a heart attack during a show. "Every time I mentioned something about the mermaid, a breeze would come up. There was no breeze otherwise." Aquarena Director Ron Coley hasn't heard that story; but he did have a spooky experience one night in the old frontier village. ''One night we had a special event and I was the last person to leave," Coley said. "It was close to 1 a.m. and as I was going through the Texana Village there was this thing that flew past. It scared the bejesus out of me but I had a flashlight and hunted it down. It was an owl." Though Coley said he's "heard stories" of paranormal encounters on the property, he's never felt at all threatened. "I've always felt this is was a very warm and inviting place," he said. Foster agreed. "We didn't feel anything malicious or negative." Expectum Soon! Harry Potter serves as a vehicle for the history of Science. The US National Library of Medicine will be introducing Harry Potter fans to the very real traditions of Renaissance science upon which so much of the magic J. K. Rowling's best-selling books are based. "Harry Potter's World: Science, Magic, and Medicine" is a traveling program that will educate patrons on the arcanum that "played an important role in the development of Western science, including alchemy, astrology, and natural philosophy". Check out the website for more information and a complete tour schedule. Skyscrapers crumble to the ground, fiery meteorites smash into Earth and a Tibetan monk cowers as a massive tidal wave swamps his mountain retreat. It is a vision of the coming apocalypse thrillingly captured in the latest Hollywood blockbuster. But fears that the world is due to end in December 2012 is just a myth fuelled by internet rumour, according to a leading Nasa scientist. Dr David Morrison, who runs the space agency's 'Ask an Astrobiologist' service, says he has received more than a thousand emails from those worried that the world is due to end in 2012. In an article published by the Astronomical Society of the Pacific, Dr Morrison has answered the top 20 questions in an attempt to assuage these fears. 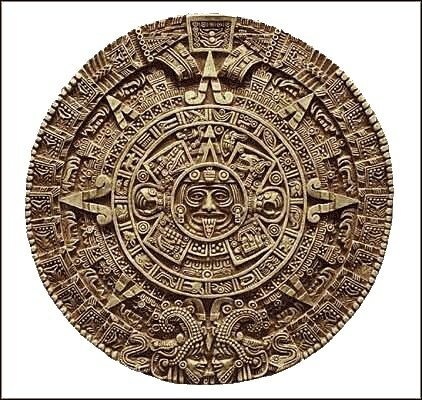 According to the theories on the internet, the calendar used by the ancient civilisation of the Mayans is due to come to an end in December 2012. Luckily for conspiracy theorists, this coincides neatly with predictions by an obscure sci-fi author, who wrote about the ancient Mesopotamian civilization of Sumer, that a planet named Nibiru will collide with the Earth on that date. Fears have been further inflamed by an apocalyptic film called '2012' starring John Cusack, which is out this November. A quick search on Amazon reveals there are 175 books listed that deal with 2012 doomsday. First off Dr Morrison dismisses the possibility that the planet Nibiru even exists. He writes: 'The bottom line is that Nibiru is a myth, with no basis in fact. And Dr Morrison laughs off suggestions that the government has been complicit in hiding its existence from the public. 'Even if they wanted to, the government could not keep Nibiru a secret,' he says. 'If it were real, it would be tracked by thousands of astronomers, amateurs as well a professional. These astronomers are spread all over the world. He also addresses the concerns of those who worry that the Mayan calendar is due to end in 2012. 'Ancient calendars are interesting to historians, but they cannot match the ability we have today to keep track of time, or the precision of the calendars currently in use. 'The main point, however, is that calendars, whether contemporary or ancient, cannot predict the future of our planet or warn of things to happen on a specific date such as 2012. 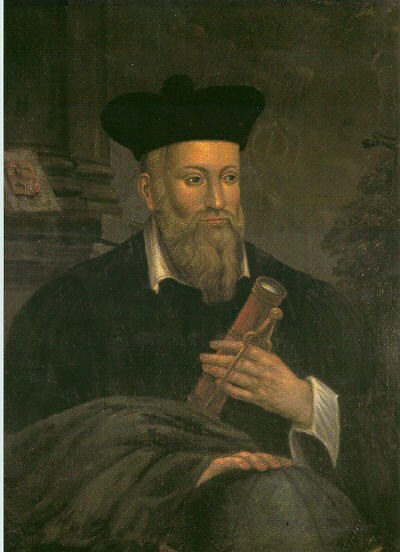 He added although many believe prophecies by the sixteenth century seer Nostradamus predict the end of the world in 2012, there is no evidence he has correctly predicted anything. He also tackles the belief circulating on some internet forums that an alignment of planets in our galaxy the Milky Way could in some way disrupt the Earth's gravitational field or reverse the Earth's rotation. 'A reversal in the rotation of Earth is impossible. It has never happened and never will,' he said. He added that although the magnetic polarity of Earth does take place around every 400,000 years scientists don't believe it will take place for another few millennia and there is no evidence it would do any harm. Publicity for the film '2012' also comes under attack for stirring up fear about the date. Like many Hollywood blockbusters nowadays, '2012' uses a sophisticated PR campaign which incorporates elements of 'viral' marketing. In the trailer for the film, which plays on conspiracy theorists' fears that the truth is being somehow hidden, viewers are directed to a 'faux scientific' website. The website purports to be the home for The Institute for Human Continuity, an entirely fictitious organisation which allows visitors to sign up for a lottery which will decide who will be saved when Armageddon comes. 'The whole 2012 disaster scenario is a hoax, fueled by ads for the Hollywood science-fiction disaster film “2012”,' he says. Dr Morrison noted that a growing interest in outer space has led to a general 'cosmophobia', that is a fear of the cosmos. He said he found people were frequently worried about the sun's magnetic field, solar storms, black holes and a rift in the Milky Way. 'Previously these would have merely been interesting astronomical ideas to explore, but now for many young people (who read misinformation about them on the web) they are objects of dread. I can really appreciate people with a dark sense of humor. Life's too short not to make fun of stuff. 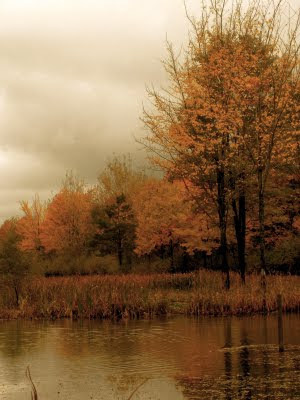 This image was taken in Salem, MA by author Ken Summers: http://moonspenders.blogspot.com/ I'm envious, I'll have to take an autumnal trek to New England one year. Halloween in Salem seems like something I shouldn't miss. A V remake? A V-make, if you will? While the scant info gleaned from the world's shortest teaser/promo makes me think there is a good chance this was a needlessly belabored and overworked effort, initial buzz makes it sound like the best thing on TV in a long time. I'll give it a shot, despite that uneasy feeling that says this will be an overproduced mess with a complicated story arc that never seems to go anywhere. I could be quite surprised. There may, in fact, be an intelligent allegory beneath the hard shell of that pretty-people-meet-CGI piece of candy that drops November 3. I'm afraid though it will be filled with obvious and ham-fisted metaphors for what's going on in the news these days. Those that "get it" will feel enlightened, of course. Good for you! Smart boys get a cookie. You might want to pick up Ayn Rand next. So What's On The BOO! Tube? 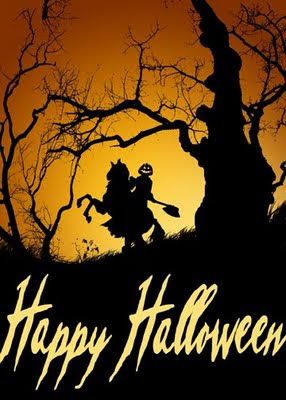 Looking for something to watch this Halloween season? As is often the case, the pickings are slim, but if you know where and when to look, there are some intriguing offerings out there. 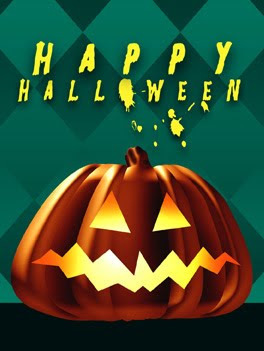 Channel Guide Magazine's online resource chronicles what's airing on TV during the spookiest month of the year. I've selected a few highlights. I'm really interested to see Animal Planet's unique take on Werewolves. You can view Channel Guide's complete list here. Scream 2009 – Spike, Oct. 27 at 10pm ET. The annual celebration of all things sci-fi, fantasy, horror and comic book. This year features a tribute to George Romero, a tribute to Stan Lee, and for some reason a special award to Keith Richards. The Real Wolfman – History, Oct. 28 at 9pm ET; Oct. 31 at 5pm & 10pm ET. A documentary that seeks to explain murders that took place in a small French village in the 1760s, which led to legends of a werewolf. The Haunting (1963) – TCM, Oct. 28 at midnight ET; Oct. 31 at 10am ET. Robert Wise directed one of the best haunted house thrillers ever with this spooky adaptation of the Shirley Jackson novel The Haunting of Hill House. 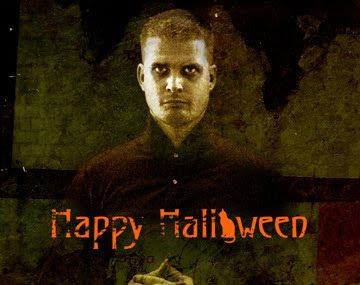 Ghost Hunters Marathon – Syfy, Oct. 31 at 9am ET. Spend a day with the TAPS team to relive some of their scariest investigations. I had never heard this and it sounds apocryphal; perhaps a guerrilla advertising tactic or another Internet urban legend. But it is nonetheless compelling. As I read through the website all about this mysterious man who scores of unrelated individuals across the globe have all dreamed about, I was struck by how this would make a really cool premise for a movie. Unfortunately, even in their own "News" page, few actual news sources are cited as having reported on this strange phenomenon. This makes me believe that it isn't all that much of a phenomenon - unless, of course, you count an urban legend spreading around the globe as remarkable. I'd say it was. Either way you look at it, the man is creepy: a balding, sardonic Alfred E. Neuman for our paranoid, post-modern world. 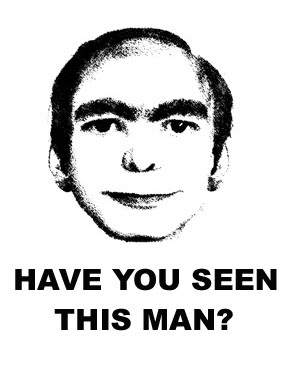 UPDATE: Mysterious Universe dug a bit deeper, uncovering some solid clues that suggest This Man is a guerrilla marketing hoax. Had a great time last night at the County Line BBQ where host Tonya Hacker put on the latest installation of her 'Barbeque and Banshees' dinner talks. She shared with the attendees several top notch EVP's, including those captured onsite as well. I shared my own research on the haunted legends of the former speakeasy and storyteller Marilyn Hudson shared a couple of spooky tales based on true accounts in that area of NE 63rd where the County Line sits. Afterward, we toured the place - going where guests are seldom permitted - and learned more of its haunted history. Great job, Tonya! I'll be in Enid speaking at the public library about my book Saturday Oct 10, 2009. Copies will be on hand for purchase and autographs. The event begins at 10 am. Authors and investigators Tammy Wilson and Tonya Hacker will be there as well in promotion of their book "Ghostlahoma". 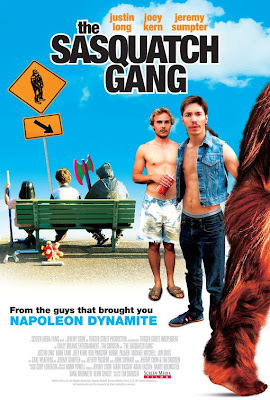 What caught my attention was the title "The Sasquatch Gang" but what held my interest was the way in which the absurdly funny film so thoroughly reveled in 80's pastiche while managing to tell a really poignant coming of age tale - sorta. The film chronicles the adventures of a trio of misfits: two best friends in the midst of a burgeoning love triangle with a girl struggling with self-esteem. All of this plays out against the trio's discovery of several hoaxed bigfoot prints and a large...um...bigfoot... present. Peopled with more absurd characters than ten Napoleon Dynamites, including Justin "I'm a Mac" Long (with a mullet), and featuring what has to be the most awkward kiss in the history of film, "The Sasquatch Gang" represents one of the funniest entries in this genre that seems to be dominating the market over the slicker, big star comedies of the past. You only have to look at the success of Superbad, Juno, and the like to see how this down-played hipster comedies have truly begun taking over. Are The Ghost Hunters All TAPSed out? T.A.P.S., the acronymic stars of SyFy's "Ghost Hunters" series, are once again involved in claims of hoaxing evidence. The video above is only the most recent example, but a jacket-tugging incident about a year ago spawned similar accusations. In fact, these stories seemingly have been cropping up for some years now. When the team investigated Oklahoma's Stone Lion Inn, some peripheral witnesses came back with claims that the production staff used black thread in order to remotely control the movement of objects. Thusfar, the stalwart cast and crew have weathered these controversies and continued to put on a successful show. One wonders, however, with the apparent increase in suspected hoaxes and ever-revolving door of celebrity guest stars, if TAPS isn't tapped out. Or, in industry parlance, have they "jumped the shark"? I had a wonderful time yesterday down in the forested hills and hollows of Oklahoma's Kiamichi Mountains while attending the Honobia Bigfoot Festival and Conference. Beautiful scenery, fantastic legends, and fair food - what more could you want? The conference, sponsored by Mid-American Bigfoot and TEXLA Research, was peopled by some excellent researchers who shared various aspects of Bigfootery through talks, presentations, and assorted booths showcasing samples of equipment, track castings, and the results of several expeditions and experiments. Among those present was the creator of the popular "Laughsquatch" comics, J. Robert Swain and noted anthropologist Dr. Jeff Meldrum, author of the exceptional Sasquatch: Legend Meets Science. If you have the opportunity next year, you should definitely make the journey along those winding mountain roads to the small hamlet of Honobia. With breathtaking scenery, colorful characters, and the opportunity to witness a bigfoot or two, you're bound to have a great time. I'll be attending the Honobia Bigfoot Festival / Conference tomorrow as a guest speaker from noon to 1pm. I will also have a table set up for selling copies of my book. So come by and see the mysteries and wonders of Oklahoma's wooded mountains. 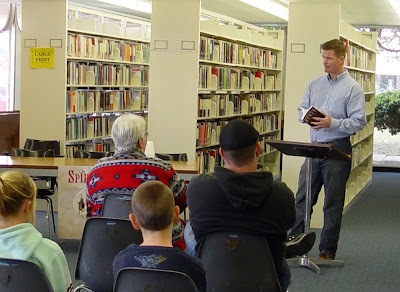 I wanted to thank all of you who came out to my talk at the Ponca City Public Library today. It was an enjoyable experience and I'm grateful to the library staff for including me in what will surely be a successful season of guest speakers. THANKS!